An early morning traffic stop led to a major drug bust Wednesday in Jamestown. 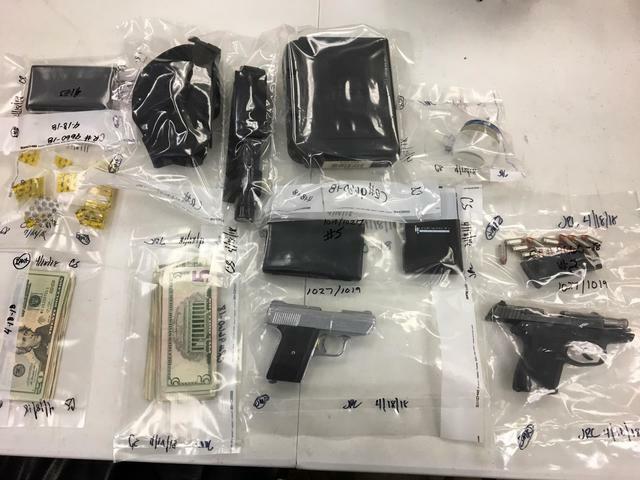 Jamestown Police say they pulled over a vehicle on Falconer Street near Winsor Street just after 3 a.m.
Police say they found two ounces of methamphetamine, nine bags of heroin, paraphernalia, cash and two pistols inside the car. Officers arrested four people, 29-year-old Michael Dubois, 39-year-old Glenn Shugart, 32-year-old Sheldon Peet, and 36-year-old Megan Harkenrider. All four suspects are facing two counts of Criminal Possession of a Weapon, Criminal Possession of a Controlled Substance in the Third Degree, and Criminal Use of Drug Paraphernalia. The driver of the vehicle, Michael Dubois, is also charged with Criminal Possession of a Controlled Substance in the Seventh Degree, Aggravated Unlicensed Operation, and Failing to Use a Turn Signal. All four suspects were arraigned and are locked up in the Chautauqua County Jail.